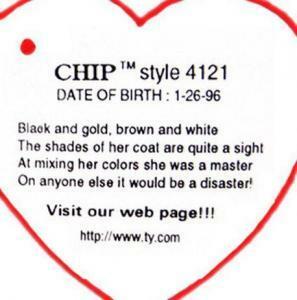 ALL CAPS Beanie Baby Swing Tags! 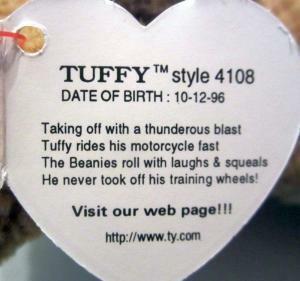 The first production run of the May 11, 1997 Beanie Babies produced for Canada, as well as Claude and Tuffy for USA, had an error on their swing tag. 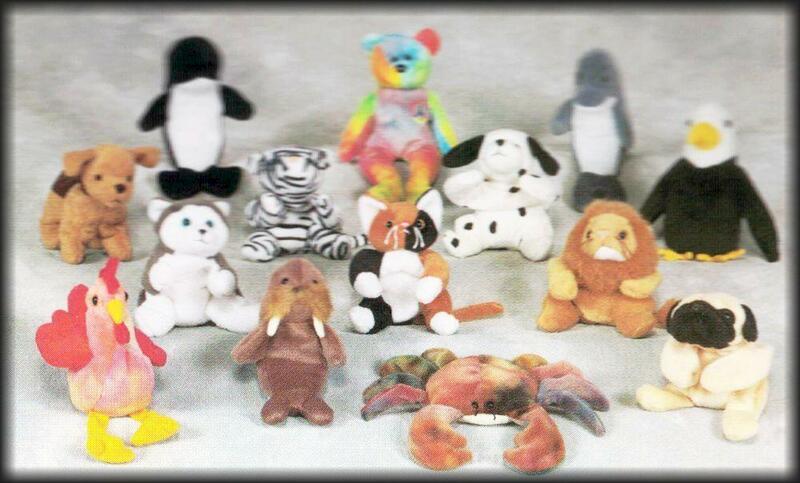 May 11, 1997 Releases – The first production run for Canada had the Beanies names typed in All Capital letters, except the Peace Bear. 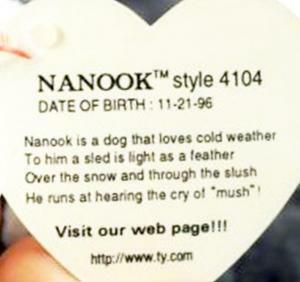 The error on these 4th generation swing tags is the name of the Beanie is typed in all capital letters. It was initially thought the “All Caps” spelling was a mid-year tag change, but subsequent shipments of these Beanies proved otherwise. 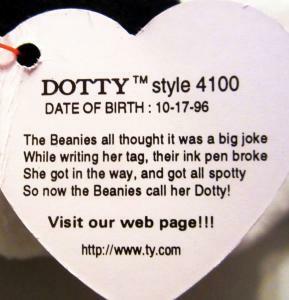 The “All Caps” 4th gen swing tags are found on Beanies with 3rd, 4th & 5th generation tush tags dated from 1993, 1995 and 1996. They also came with the black and white Canadian tush tag. 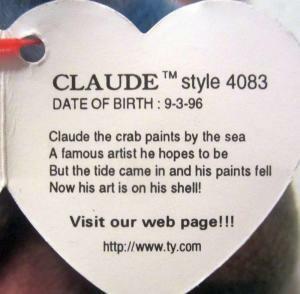 Claude and Tuffy were introduced in the USA with their name in ALL CAPs. – Baldy, Blizzard, Chip, Claude, Doodle, Dotty, Echo, Jolly, Nanook, Pugsly, Roary, Tuffy, and Waves. Although Peace was introduced at the same time, it did not go into production until later, so it is not affected by the “All Caps” mistake.